Last Tuesday, I realized I should have paid more attention to my science classes when I was in school. That realization struck me a few minutes into a presentation on Mango production that was skillfully provided by Alan, a fourth generation plantation manager; on the site of his current 525 hectare organic Mango project here in the Penonome area of Panama. 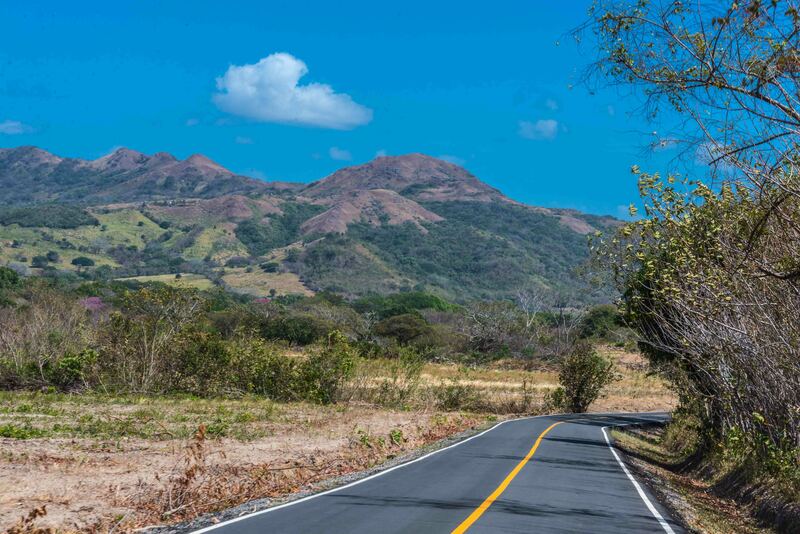 Penomome is an agricultural region around three hours’ drive, inland from Panama City. 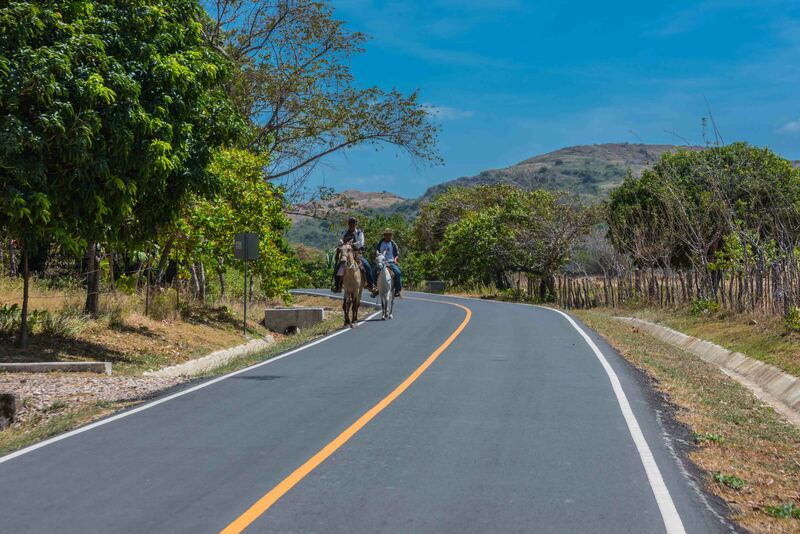 You turn off the Interamerican Highway a short distance west of Penonome and after a 15 minute drive on a well paved secondary roadway, you arrive at the plantation. “Do Not Spray” signs along the fenced perimeter of the property immediately eluded to its organic nature. I do not know what I expected but what we found was not it. Maybe someday it will look like a luscious beautifully landscaped vineyard but presently this plantation is still under development. Rolling hills, gravel roads, and lots of dust and wind greeted our arrival. We were told that only four percent of farmable land is in production in Panama and that the government is encouraging agricultural development projects by allowing them to be tax-free. 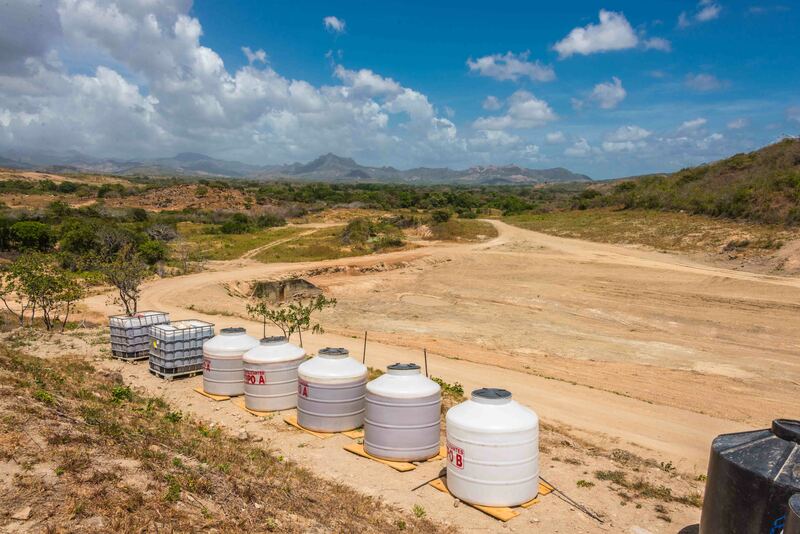 The land here is contoured to provide each tree with the best access to the natural gravity fed irrigation and fertilization systems that are presently under construction as well as to protect the Mango trees, which require well-drained soil. They use the term Permaculture to describe an agricultural management practice designed to align agricultural management with the laws of nature to increase profits and eco-sustainability. All these factors come together as a system to support the most efficient growth of the plants. Rivers and streams are modified to intercept and store large amounts of water that is received during the rainy season. During the development stage of this plantation, high tech drones were used to map the topology of the land to ensure that optimum drainage is achieved. 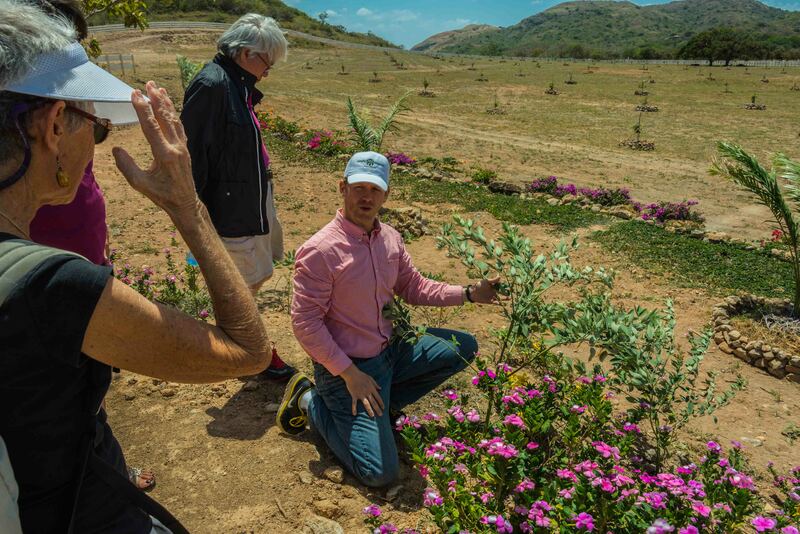 The plantation makes its own organic fertilizer and bug control from organic sources. Neem trees are companion planted around the perimeter and throughout the plantation. Neem trees, from India, provide a natural bug repellant and wind protection for the Mango trees. They develop at around the same speed as the Mangos. Because Mango trees must be planted around 50 feet apart, there are plans to intercrop among the Mangos. Intercropping will produce profitability, beginning in year two. Appropriate products currently being researched, will result in an additional return of around two percent and a selection should be completed shortly. The intercrops not only allow for an earlier and added commercial return but are specifically chosen to help the Mango trees reach the highest production as they help with nitrogen fixing the soil, among other things. Mango is the second most consumed fruit on the planet. First born in India over 5,000 years ago, Mango trees have a 60 to 80 year productive lifespan. 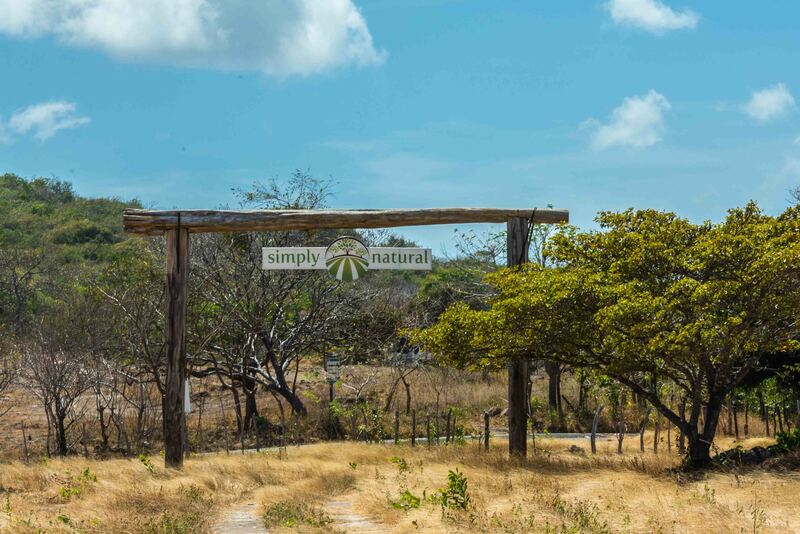 For the Simply Natural Brand, each Mango tree is grown and grafted in the organization’s own nursery. They have developed a unique Mango variety called the “Lady Victoria” which has an 85% fruit to seed and rind ratio, higher yield per tree and a stronger resistance to pests, fungus and bacteria infestation for all tropical climates. Success of the Lady Victoria has been proven over the last 20 years of research and development to be a superior product. There are also plans to GPS tag each Mango tree so if difficulties of any kind surface in the plantation, they can be specifically located. The tagging also identifies each tree so that production during harvest can be accurately allocated from each tree to each owner. This project is being sold to investors for US$36,500 per hectare. For your investment, you receive full and clear title of the land, ownership of all irrigation systems installed on the land, ownership of all improvements to land, and all trees and crops planted on the land. Earnings from the property are calculated and defined within a complete management agreement. 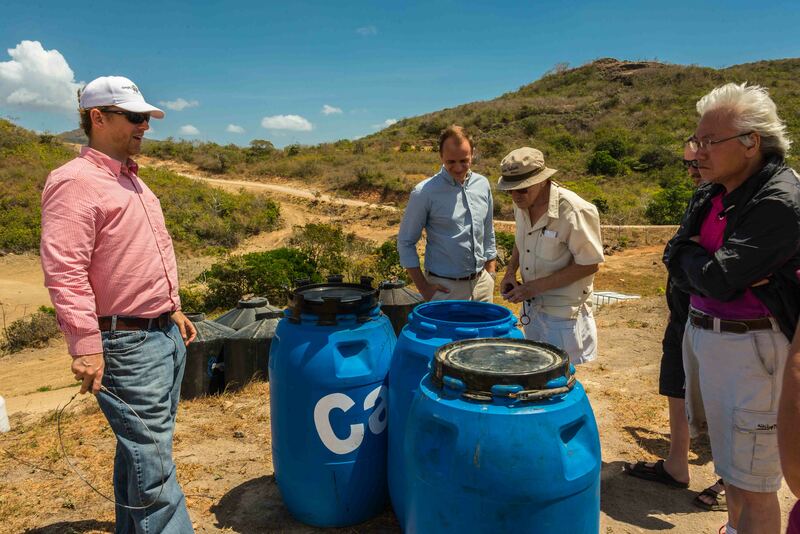 With income returns from year two onward and an annual ROI from year 5 onward of 29+%, this project has our attention. Because most of the investors are from North America, there are plans to build an investors lodge on the banks of the Rio Grande River. Here you can come and visit your Mangos while enjoying a beautiful location. I like this project from a return standpoint. It is also comes with a fully managed hands off operating contract where the developer of the plantation continues to hold and operate around 50% of the total hectares. In addition, purchases made through an independent investment organization with a history of going to bat for their investors should anything go wrong, offers an additional level of protection. If anyone is interested in more information about this project, please contact me by email (khowie@shaw.ca). I would also be pleased to provide you with a contact who can handle your investment and any further questions. By the way… if you are Canadian, Loblaws is currently in discussion with Simply Natural to supply the Lady Victoria Mango to their stores. We really enjoyed your latest blog on the Mango Farm and Investment. You are very thorough in your investigations and we appreciate your explanations and observations. Keep up the great blogs for the rest of the world, Murray and Susan Karn, Calgary, Alberta, Canada.